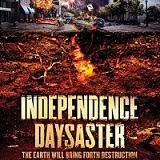 On May 27th, Anchor Bay Films lets freedom ring with the release of the explosive Independence Daysaster on DVD. This Syfy Original Movie puts a small town firefighter and a rag-tag team of do-gooders up against some very evil space invaders that make the Transformers look like kids toys! Directed by W.D. Hogan (Earths Final Hours), Independence Daysaster stars Ryan Merriman (“Pretty Little Liars”), Andrea Brooks (“Supernatural”), Emily Holmes (Metro Storm) and Tom Everett Scott (That Thing You Do!). It’s the 4th of July, and America is celebrating. But when a hostile force attacks from both outer space and within Earth itself, our planet may be on the menu for a holiday barbecue. Can a small-town fireman, a physics-loving teen, a rogue scientist, two nerd hackers and the stranded President of the United States now find a way to stop the invasion, nuke the alien mothership, and set off the biggest fireworks display of all? Keenan Tracy (“Bates Motel”) co-stars in this wild intergalactic tale from the producers of 12 Disasters and End of the World. 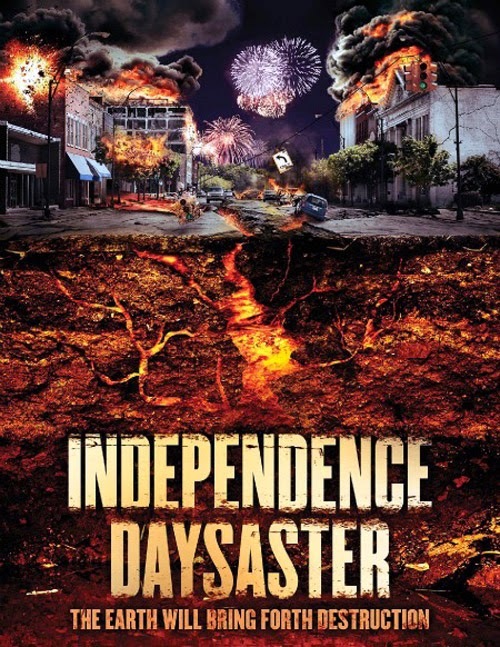 Independence Daysaster is a high-octane, nonstop, extraterrestrial mayhem with a war of the worlds that puts the heart of the heartland in danger. It’s a wild whirlwind of fighter jets, alien drones and threats of nuclear annihilation that sure isn’t your traditional 4th of July picnic. Independence Daysaster shows our country up against some very insurmountable odds, but wasn’t America founded on odds like that?